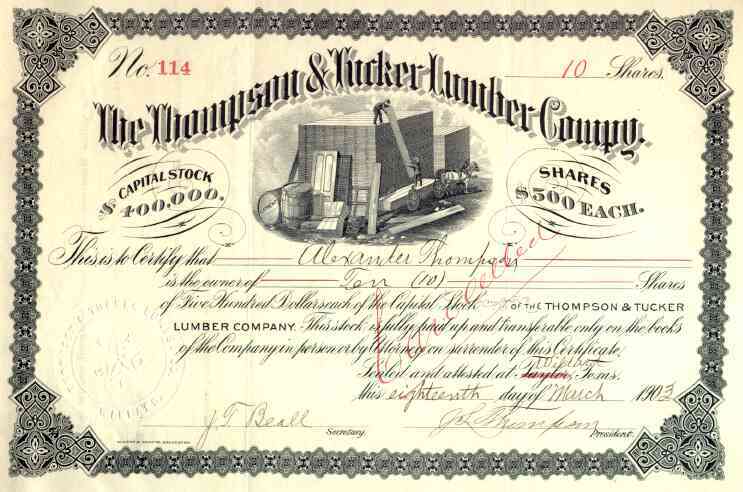 1903 Thompson & Tucker Lumber Stock Certificate. Nifty Texas scripophily certificate with vignette of men stacking recently cut lumber. Stock issued to H. H. Thompson and signed by J. L. Thompson as president. VF+ condition with pen cancellation.